Now how about a workout? Today we’re doing the same thing we did last Tuesday. Well, to be honest, because it takes practice to actually do this workout correctly. 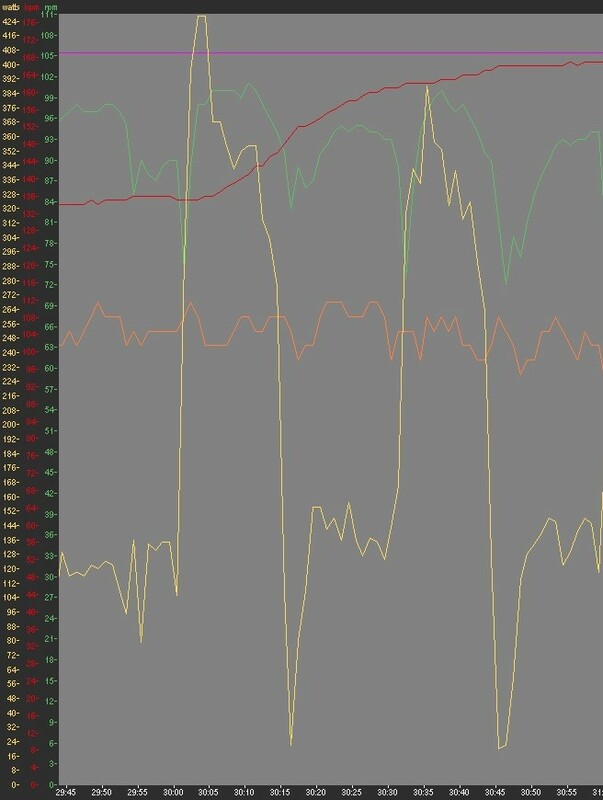 This is a freaking hard workout to nail down the output levels for, especially if you don’t have both a power meter and a really good handle on your output levels even if you do. It’s worth working on this, though. The hard work will definitely pay off, and as most folks are starting to drag their asses through the waning days of the season, some really damn hard efforts like this can be just the thing to push you past the fitness barrier that’s been keeping you off the podium, off the back, or away from those upgrade points. Make sense? Have at it! ~ by crosssports on November 15, 2016.